Henry Wallace Shead, Sr., better known as “Shed” was born in Fordyce, Arkansas, on March 31, 1941. He was raised in Little Rock, the son of a reverend, Henry Arthur Shead. 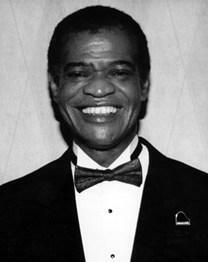 At the tender age of six, Henry was introduced to the keyboards by his mother, Willie LeBethel, who immediately recognized his natural talent. Henry’s mother saw to it that her son had piano lessons, while his father’s church provided the place for his early public performances. At the start of his career, he performed regularly on a local American Bandstand-type TV show called Center Stage. He also became a fixture at the Little Rock Country Club. He made his mark playing in intimate settings as a solo artist, dazzling listeners with his absolute mastery of the piano, singing in that slightly raspy, yet smooth sounding baritone voice. Shead was awarded a scholarship to the University of Arkansas at Pine Bluff, and majored in music while entertaining around the area. Henry met his wife, Jeanette Mazique, while attending college in Pine Bluff. They married in January of 1964 and had four children. He became a high school choral director and music teacher, all the while continuing to work in local nightspots like the Drummer‘s Club in Little Rock. In 1971, he moved to Los Angeles where he made his acting debut appearing with Henry Fonda, Richard Dreyfuss and Jane Alexander in William Saroyan’s The Time of Your Life. He wrote and arranged music for stage plays and television, sang the title song for a United Artist film, did studio work on a Johnny Mathis album, and recorded for the Liberty/United Artists and Cream labels. Shed created national radio jingles and appeared on network television with Dinah Shore, Johnny Carson and Jerry Lewis. He has also performed at parties for the Rockefellers, Pearl Bailey, The Carpenters, President Lyndon Johnson, President Bill Clinton, Henry Mancini, Sergio Mendes, hotelier Peter Morton, Ed McMahon and Barbra Streisand. In Las Vegas, the city where he lived since 1974, Shed entertained at most of the major hotels, with long engagements at the Aladdin, Stardust, Hacienda, MGM Grand, Caesar’s Palace and Sahara. In 1977, the Henry Shead Band with Denise Clemente was voted Las Vegas’ Best Lounge Act of the Year. His last long-term run was at AJ’s Steakhouse at the Hard Rock Hotel & Casino, retiring in 2007. In October 2006, he was inducted into the Arkansas Black Hall of Fame. He died on October 5, 2012 in Las Vegas and is buried in Forest Lawn Cemetery in Hollywood CA. For more on Henry Shead and other inductees into the Arkansas Black Hall of Fame, visit the permanent exhibit at the Mosaic Templars Cultural Center. That museum is an agency of the Department of Arkansas Heritage. Little Rock connection: All three were in attendance in Little Rock for the opening of the William J. Clinton Presidential Center in November 2004. Tony Awards connection: Spacey has a Tony Award for Featured Actor in a Play for 1991’s Lost in Yonkers. He has also been nominated for Actor in a Play in 1999 for The Iceman Cometh. Streisand was nominated for Tony Awards in 1962 (Featured Actress in a Musical – I Can Get It for You Wholesale) and 1964 (Actress in a Musical – Funny Girl) and received a Special Tony in 1970. 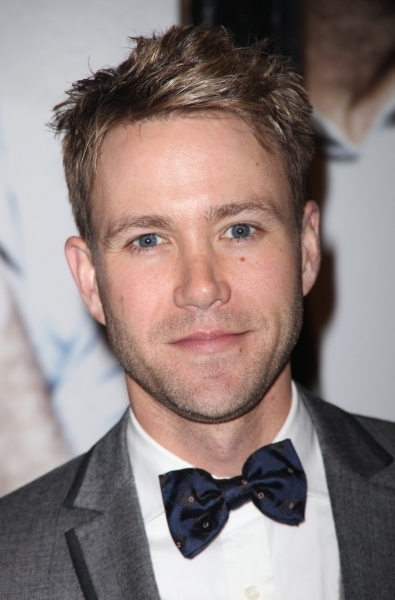 Hipp was nominated for Actor in a Musical in 1991 for Buddy- The Buddy Holly Story. While Bono and The Edge played at the Clinton Presidential Center opening and also penned the score for Spiderman, they failed to win a Tony nomination. 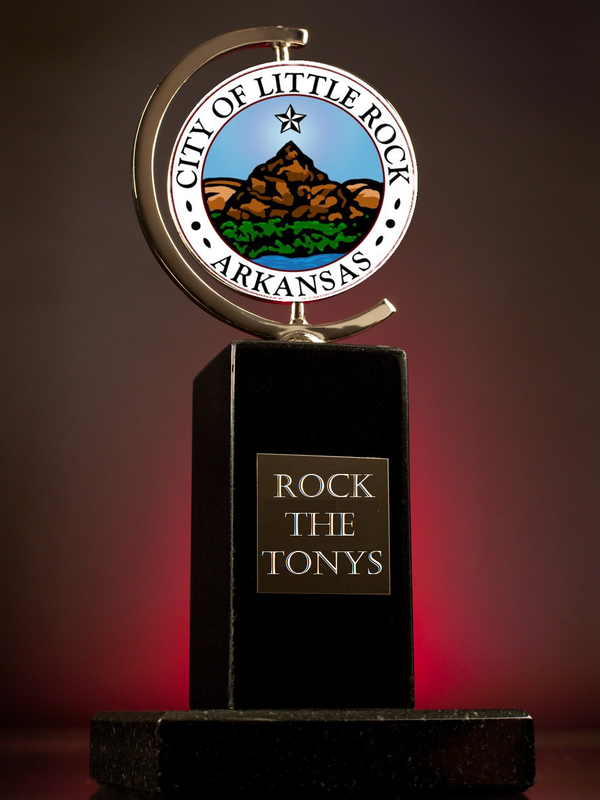 Little Rock connection: A native of Central Arkansas, he starred in the Arkansas Rep production of Damn Yankees. Tony Award connection: Performed on the Tony Awards ceremonies with casts of Cry-Baby and How to Succeed in Business without Really Trying. Currently he is starring Off Broadway in Buyer and Cellar playing a fictional employee of double Tony nominee Barbra Streisand.